There will be a Respect Life Committee meeting on Monday, April 29, at 7:30 PM in the Rectory Meeting Room. All are welcome to join us to help prepare for our annual Mother’s Day Baby Shower for women in crisis pregnancies. Your help can make a big difference! Thank you for your generosity. 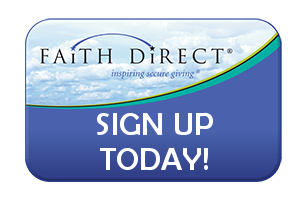 For more information contact Felicia Brobson at 201-803-8928 (call or text). Originally coined by Social Worker Dorothy Miller in 1981, the term “sandwich” generation is described as a generation of adults who are “sandwiched” between their own parents and their grown children. They may be subjected to mental, emotional, or financial stress. 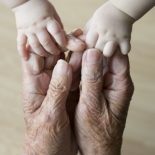 Did you know that one out of every eight Americans between the ages of 40 and 60 are direct caregivers for an aging parent while an additional seven to ten million Americans help their parents or other aging relatives even from a long distance. We hope you will join us for an enlightening and reflective evening. Light refreshments will follow. 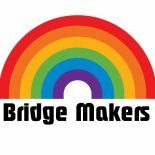 Bridge Makers is a faith sharing group for LGBTQ Catholics and their families. All are welcome for faith sharing, prayer, conversation, and support. Our next meeting is Tuesday, May 7th at 7:30 PM in the Parish Center. 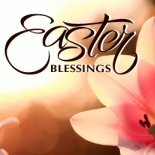 For more information, please contact Deacon Paul at pkazanecki@saint-peter.org or by leaving a message at the Rectory (201-261-3366). The Spring Clothing Swap will be Saturday, May 11th from 9am – 12pm in the Parish Center. We will be collecting children’s clothing donations on Friday, May 10th from 3-7pm in the Parish Center. Volunteers are needed for both days. Volunteers, please RSVP with your availability to lauves30@yahoo.com. 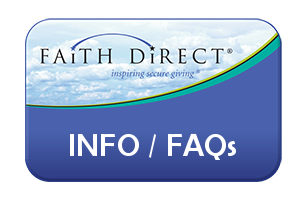 For parishioners using our previous online giving program, please follow the Faith Direct enrollment instructions detailed in the email you recently received. Come join us for a relaxed evening all about exploring God’s Word in community. We’ll read the upcoming Sunday Scripture, spend some time discussing, and finish the evening with conversation and friendship. It’s a terrific opportunity for parish acquaintances to become friends, a place for ministries to network, an occasion for the peace of God to come into our lives. 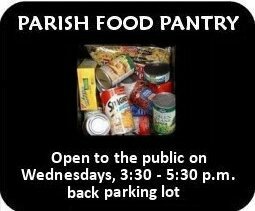 It’s open to all St. Peter’s parishioners & friends. You can come as often you wish… There’s no-commitment and nothing to join. Please RSVP below to let us know you are coming so we can prepare. Help is needed for the humanitarian crisis in Venezuela. On the weekend of May 18 and 19, we will be collecting donations of non-perishable food items, baby food, first aid supplies, vitamins, all used medicines that are not expired (more than 90 days), and used sneakers all sizes. 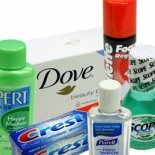 Your donations are greatly appreciated! Please check their website www.support-group-nj.com for all details. Contact Kathy Marshall 973-246-6148 or at teacherkmm @yahoo.com for any questions and to make reservations. There has been an increase in the number of fraudulent emails across the country. Financial losses can exceed hundreds of thousands of dollars and are often uninsured. Recently we have received notification of email and text scams that will use the name of a pastor to solicit funds in the form of gift cards or cash donations. The email usually includes no recipients’ name, and asks for financial help for a worthy cause. The pastor’s name concludes the request. Several of our pastors have already heard from parishioners who have received emails or text messages, seemingly from the pastor, asking for donations. Our parishes and schools do not raise money in this manner so please exercise the utmost caution when receiving this type of communication. Law enforcement agencies urge parishioners to question any email or text that doesn’t come from a person in their contacts. If a pastor’s name is used, parishioners should contact the parish to verify the legitimacy of the appeal. Make a difference; give us your time and talent! Applications to become an Officer in the River Edge Police Reserves are accepted year round and can be picked up in person at the River Edge Police Department Headquarters. The Knights of Columbus are inviting all Catholic gentlemen over the age of 18 to join our organization for promoting our guiding principles of Charity, Unity, Fraternity and Patriotism. The River Edge Knights serve the Parish of Saint Peters the Apostle and local community by volunteering their time and treasure in assisting the poor, disabled and disenfranchised, as well as programs for supporting our youth. Please contact Bob Garcia on: 201-262-7766, or via Email: kofcriveredge@gmail.com, or on our website: www.kofcriveredge.com for more information. We look forward to welcoming you! The River Edge Lions Club is in need of some new members due to a recent drop in enrollment (retirement, relocation, other obligations). The Club does much to help the visually impaired, families in need, schools, scouts, recreation, and other community organizations as well as national and international causes. “Where there’s a need, there’s a Lion.” Please join in helping others. The Lions meet at the River Edge Diner on the 2nd and 4th Mondays of September through June. Please call Lorraine or Mike Blake at 201-967-1289 for more information. 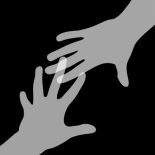 The Bergen Volunteer Center turns caring into meaningful action by engaging volunteers to meet community needs. We can provide your members with information about a multitude of choices for a rewarding volunteer experience. Individual volunteer opportunities, group projects, family-friendly volunteering, student or school volunteer ideas—The Volunteer Center can help in choosing an activity that is a good match for a person’s talents, interests and availability. 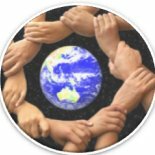 Our website (www.bergenvolunteers.org) lists hundreds of volunteer opportunities in and around Bergen County. The Pastoral Care Department of Hackensack University Medical Center is in great need of Eucharistic Ministers/Pastoral Visitors to bring Holy Communion and visit our patients. 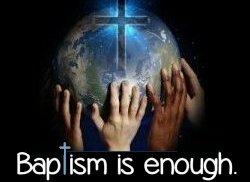 If you feel called to this wonderful ministry, to bring Jesus and your own presence into the rooms of the sick, please contact Rev. David Armstrong – Director, Pastoral Care, Hackensack University Medical Center, 30 Prospect Avenue, Hackensack, NJ 07601 – 551-996-2345. Life Source Hospice is seeking volunteers to be part of our elderly patients’ end-of-life care. Volunteers serve as friendly bedside visitors to patients throughout Bergen County and provide them with much appreciated companionship by sitting, listening and praying with them. Volunteers also provide support to family members. Birthright of Bergen County, a crisis pregnancy center dedicated to encouraging and helping women choose life for their babies, is in need of volunteers to share their time and love for God’s miracle of life. Birthright provides community resources, clothes, diapers and financial help to women. Volunteers are needed in the office at 19 W Pleasant Ave, Maywood to greet, help and support mothers-to-be that come in or call in. If you have time and would like to volunteer, please call Mary Pat or Barbara at 201-845-4646. 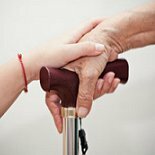 The Catholic Chaplaincy at Bergen Regional Medical Center, Paramus, needs volunteers to: transport long-term residents to and from hospital Masses, to be friendly visitors to those confined to bed or wheelchairs, and to set up and take down altar items for hospital Masses on Saturdays (3:30 PM) and Sundays (11:15 AM). If you are 18 years of age or older and wish to volunteer, please contact Fr. Edito Gamallo at 201-414-0522 or Fr. John Quill at 201-421-0009 for more information. God will reward you for your kindness. A Catholic education is a powerful tool for any child’s future, but for some children it is not financially within reach of their family. 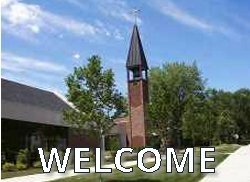 This is where the parishioners of St. Peter’s Church can give the opportunity of Catholic schooling to a child at St. Peter Academy by making a donation to our school’s Adopt-a-Student Fund. Any donation, big or small, can make a tremendous difference in a child’s life. Please make checks out to St. Peter Academy – Adopt a Student Fund and mail to the school at 431 Fifth Avenue, River Edge, NJ 07661. 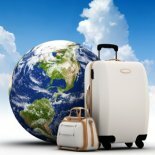 In addition to meetings and giving support when needed, we also travel both locally and internationally and socialize with activities during the week and weekends. Crocheters and knitters meet weekly on Saturdays from 9:30 am to 12:00 January through early June in the Casazza Center which is in the basement of the rectory. We make afghans, which are donated through the local chapter of Project Linus to sick and needy babies. All who are interested are welcome. The quilters meet weekly in the Parish Center on Tuesdays from 1:00 – 3:00 p.m. in the Fall and Spring (announced in the bulletin). All are welcome. We will find a job for everyone and will teach you our skills. The finished quilts are donated to the homeless teens at Covenant House in Newark. For more info call Pat Weiscarger 201-967-1509 or Kathy Tubridy 201-265-3080.